LONGTIME ROTARIAN LIZ CULLEN has come to know many in Woburn Rotary and is the District Foundation Chair from 2016-2019 and spoke to us on a wide variety programs that impact the Rotary Foundation has had on the world - especially eradicating polio. Her commitment, dedication and expertise is a true asset to our District. In District 7780, Liz was Past District Governor in 2007 – 2008 and also served as District 7780 Foundation Chair. She has been a member of the Rotary Club of Newburyport since 1997 and has served as secretary, treasurer, president, their Interact liaison and Foundation chair. In 1993, she received the Newburyport Rotary Club’s President’s Citation for Service Above Self. She has served District 7780 as an Assistant Governor, chaired the District Membership Committee and was a member of District 7780 Conference and Program Chair. In February 2004, she was a member of an NID Team to India. She is a multiple Paul Harris Fellow and Benefactor. She is one active Rotarian, or is it four or five in one! She covered some 10 topics where Rotary International has had a major impact, including making India polio-free, along with other countries, while neighboring countries have very few cases. 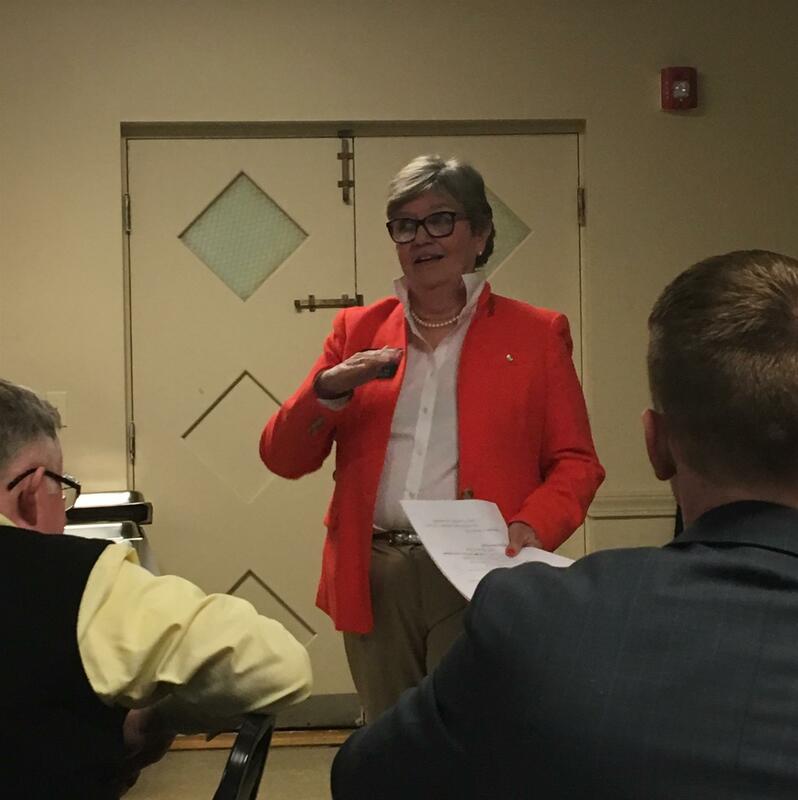 She covered a wide variety of topics “To Do Good in the World” and reviewed some efforts by clubs like the Salem Road and Peabody Rotary Club. Programs like having Columbians wash their hands properly, scholarships for students, education for schools in Kenya and Guatemala City and others had her attention and ours, too.